Nice post. I’ve use various mice since the early 90s both PCs and Mac and the only double click problems I encountered is the Logitech mice I bought one year and a half ago. I have a problem developing with my m705 left click and I’m not sure if I should just ditch the unit or try cleaning it once again. I don’t have any micro-switches and honestly the lack of drag-drop + constant double clicking is getting rather annoying and quickly. Microswitches are pretty cheap (less than one Euro) and standardized, but desoldering them from a multilayer board can be quite unpleasant… I’d send you one of mine but I think this just as expensive as buying a new one. Before throwing the mouse away, I’d at least try to repair it. Maybe you could take the mouse apart and first try to carefully open the microswitch itself to clean the contacts. If that fails, i.e. the microswitch case cracks, you could still try to desolder it. I used tuner cleaner with silicon and injected into the switch casing, some right around the push button. Seems to make the switch more responsive when selecting. I have had the same annoying left click drag/drop problems on my M705 mouse. I disassembled it and it did need some minor cleaning. Once I removed the scroll wheel assembly I noticed that there are two very tiny springs (nobody mentioned this) that are exposed under the front of the scroll wheel assembly. They sit in individual recessed holes – remove them and set them aside. 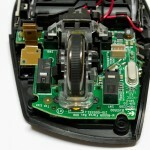 They will fall out if you turn over the mouse with the scroll wheel assembly removed. I removed the 2 screws holding down the mini circuit board and turned it over to use a magnifying glass to inspect the micro switch solder joints. I could see that the solder joints on the left micro switch looked like it was separating and the right micro switch joints did not look much better. After soldering all three pins on both micro switches I can report that the mouse works great. thank you so much for this article. I just had the very same symptoms with my M705. In my case, it wasn’t even necessary to change the micro switch. All I needed to do was to re-solder the three solders that hold SW1 in place. That did it for me. The reason for the failure was only a bad / cold solder. Such a failure is very common for parts that are under heavy mechanical stress, so I find it quite likely that your problem (and that of other users) was also caused by a bad solder. If this was true in your case, you actually fixed it by de-soldering SW1 and inserting another switch – witch fixed the alleged bad solder as well. @Marty: You should give this a try, no spare parts needed. At least in my case, it couldn’t have been a case of planned obselescence, because nobody can calculate when exactly a bad solder is going to break. In my case, the failure happened after less than two years, which is well within Logitech’s guarantee period of 3 years for the M705 (Despite of that, I preferred to fix the problem by myself). They would only harm themselves if they built in such a quickly developing problem. It looks like I need to change the micro switch for my left click button issue… Is the micro switch you have shown in the picture is 2-pin micro switch? or 3-pin micro switch? For me, it looks like I need 2 pin micro switch for this Microsoft mouse. I’m not familiar with that type of mouse and a quick web search for its interior was not helpful either. In my case common 3-pin micro switches were installed, but only two of the pins were used (i.e. it wasn’t used as a changing switch) if I remember correctly. I have not yet seen 2-pin micro switches, so maybe the ones in your case are manually modified (with the third pin removed)? I would recheck that if I were you. Hey, i found this article very nice. I’ve experienced same problem, quick search landed me here. I’ve had cheap mice that have had defective switch, then replaced the faulty switch with new one found in local market. Apparently the new switch has lower quality, LOL so the click feel so clacky hard and the lifetime ended so quickly. For my m705 instead of replacing the switch, i resoldered those switch pins on the pcb. I found that the faulty were not in the switch but in soldering tin quality (brittle and pores), seems like the problem was in PCBA line. 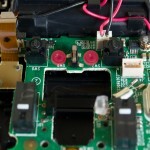 This post explains how to restore the spring in the switch, which supposedly fixes the problem. Thanks Steve, the switch internals were slightly different (newer?) on mine, but the principle’s the same. Now I have my M705 as new one, zero cost! Thank you, you really helped me with pictures hidden screws under the battery. My mouse fixed just by “Emptying Capacitors” !!!!!!!!!!!!! I have two M705 that both had the problem, one in particular was so irritating I couldn’t ever select a desktop icon without (unwanted) double clicking it. I opened the not-so-bad one to replace switches (it still lies opened, waiting for switches to arrive.) Then I read this comment and did the “empty capacitors” trick to the really-bad-one, and wow: it worked like magic! So its probabaly NOT a switch problem, but you need to refresh its capacitors: ITS A DAMN CIRCUIT DESIGN PROBLEM! This seemed to work, thanks much. was about to get the screwdrivers and solder out..
definitely try removing static energy! Simply 30 seconds and my mouse is back…. this video is excellent for disassembling, thank you. My mouse died after I dropped it. Tried new batteries, nothing. (it’s almost 4 years old so out of warranty.) So while I waited for the new one to arrive I started poking around. Took it apart, mangled the pad and the sticker, found nothing obvious, (didn’t look very closely) decided to save it for parts based on this video and possible future problems with the new one. Then I saw this post on emptying the capacitors. I’m not an electronics whiz, but decided to try it because, what the heck. Put new batteries in, and it’s working!!! And I don’t even know what a capacitor does. Who cares? thanks for the tips!!!! Thank you for the excellent documentation you have provided for disassembling the M705. I was tearing my hair out trying to get it open without success. You showed me there are two more screws hidden under the sticker in the battery compartment. My scroll wheel was stuck and would no longer work as a middle button. I simply needed to open it up to free it, and it works fine now. However, the plastic pad on the bottom of the mouse will never be the same again, after having to remove it to access the two screws. I wonder of Logitech can supply replacement adhesive pads? I had the same button problem. I contacted Logitech customer service (mouse was less than one year old), explained what’s wrong and they sent me a replacement mouse cost-free. I didn’t even need to return the defective mouse. Thanks so much for this article. I couldn’t find the instructions on how to dismantle the M750 anywhere else. Can you remember, if the microswitches used for the two lateral buttons (those that are often used to go back and forward in a browser) are the same as the ones for left/right clicking? It’s not quite visible from your photos. I dropped the mouse and damaged one of them, but I don’t think they’d replace the mouse in terms of guarantee. It’s also quicker if I replace them myself. Then again, I don’t want to loose the guarantee by dismantling the mouse just to have a look, in case I needed it for anything else. I’ve just repared my mouse, so I will respond to myself here. The microswitches used in the side buttons (defaultly back and forward functions) are different from those used for left/right clicking. It can be found here http://www.gme.cz/p-b17310-p630-143, which is also where I bought it, but I found it also in another shops, so it seems to be pretty common. Hi, thanks for sharing that information. — Kai. This page has a great collection of links, for me this one helped me solve my clicking problem: http://www.redferret.net/?p=31008 . Thank you Steve for posting it here! Also, I have found that if you contact Logitech Support even after your warranty has run out they are willing to help, they actually sent me a replacement mouse free of charge a couple of months after my warranty had expired. Worth a shot I’d say. Thank you very much! It helped me a lot. I’ve a M705 and the button to switch between the mousewheel modes wasn’t working. So I disassembled it and fixed it. Thanks very much! Can you imagine working on Photoshop with an erratic left button. How do I take out the bolt holding the scroll wheel. It seems to come out but gets stuck. Push it gently with a pin or a nail from the other side, it pops out. I have a similar problem with my M705 mouse, I dropped it by incident and after that it acts very strange – when I click with the left mouse button it performs something similar to a middle click or double click… but I’m not sure if it can be fixed. I have changed the microswitch, and it works fine right now. It was not easy, molding metal needed over 300 C deg to melt, and was hard to pull the switcher out. But now I have different problem. For the sake of safety I gently removed laser wire, to get better access to the back of the main chip. But later I have learned it is not that easy to push it back. No my mouse have lost its precision completely. Anyone have tried to mess with laser wire? that brown flat one… Btw my mouse is almost 4 y.o. So no warranty and I decided to fix it myself. I had the exact same problem as you did, except that my 705 lasted a bit over three years. I opened it up, blew some compressed air into the switch to remove any possible dust and now it works just fine. Replacement of the switches did not last long for my mouse. De-bouncing of buttons is usually done by a time delay in the firmware, so I also suspect planned obsolescence here. Instead to replace the switches a third time, I now soldered 100nF condensators (blue or yellow ceramic blocking condensator) parallel to the contact pins (the 2 pins close to the white push button). Works fine, wonder how long this will last. I dropped my M705 about 1/2m to the floor. The next day I realized that something went strange with it. Was about to think about a new mouse, but tried it on another computer with Logitech software installed. I realized that the “right scroll” switch seems to be active all the time. Your post helps me to confidently open the mouse. Thank you for that! Though my “left click” and “right click” micro switches are working perfectly, the “right scroll” switch seems to be pressed all the time. After looking a while for broken parts I just pushed the wheel housing a little bit harded – and suddenly the hole thing was set again. I can’t figured out exactly where it got stick before, but now it is working again as supposed. 10x for posting this. I just disassembled my M705 based on your photos and exchanged the switches. So far so good. 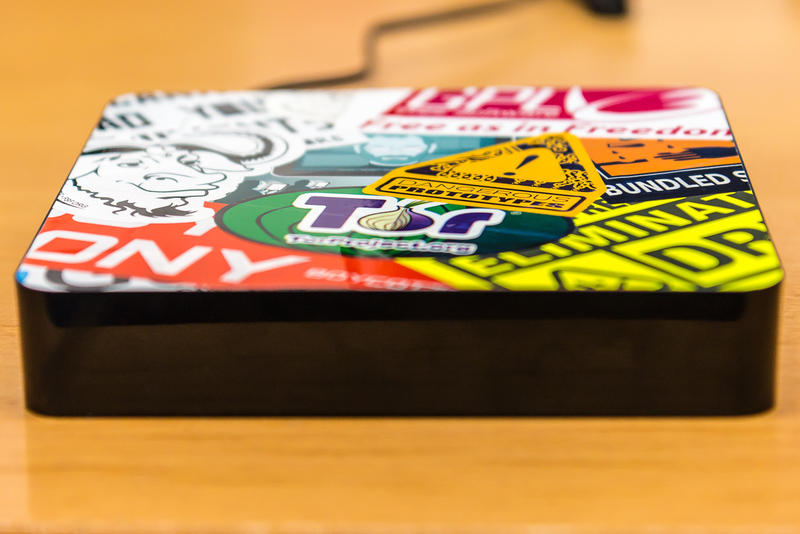 What do you think about how to move the laser-sensor to the geometric center of the mouse? Under the wheel closer to the battery compartment there is a place for this? I was serious. My plan: https://www.dropbox.com/s/pfw7c3zrs4kkboz/mouse.jpg Excuse me for mad skills in drawing. I want to keep only one battery. I had this same problem with 2 M705 mice and found that it is common with all brand mice after regular daily use. A friend said he fixed his by whacking it on his palm real good, so I gave that a try and it fixed both of mine. Much easier than diss assembly. I take laptops apart and fix boards and sockets for a living, I didn’t want to have to take something else apart. Hope this provides an easier fix for people that don’t take things apart to fix them. Awesome page. Resoldering my micro-switch contacts has allowed me to select, drag, drop reliably again. I programmed my Logitech mouse so that pressing the wheel on a link opened the link in a new tab. After 4 or 5 years the wheel push has become harder and harder and more and more unreliable. 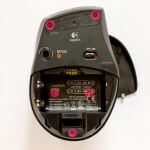 Reviews are critical on the useful life of Logitech mice. Rather than buy a new one, I have reprogrammed the mouse so that a push to the right on the wheel on a link opens the link in a new tab. Works perfectly now – although it’ll puzzle anyone else using my computer. Thanks for this info! It would have been a huge PITA disassembling my M705 mouse without it. My mouse is also showing the same left click problems. I’ve resoldered the joints to see if that fixes it. I just wanted to say thank you to KAI for detailed instructions. My problem was a bit different. My right button got stuck. It was not due to faulty micro switch but a small part of foreign plastic got stuck between micro switch and button. I had to disassemble the mouse a bit further to reach and remove the plastic part. It works great again! I have never had any problems with mice until I made a mistake and bought couple of cheap wireless mice (all made in China). They worked OK for most part but first thing to give up with all of them was the scroll wheel/middle button. Either wheel scrolled pages in erratic manner or middle button act like I would click it several times even if I only clicked it once. And that’s because they use cheap potentiometers and micro switches with wheel/middle button. Two other buttons work fine but they use different kind of micro switch. Thanks for posting these images. I dropped my m705 and the optical sensor popped out of place. If I hadn’t seen your photo with screw holes in the battery section I would have definitely forced it open and broke my mouse apart. Awesome post. I had the same problem, but for the repair, I took it a bit further. After I de-soldered the left mouse button micro switch and removed it, I used my volt-ohm meter to check the resistance across the switch in open and closed positions. What I found was erratic resistance readings across the contacts. With that, I took the switch apart. What I found was oxidation on the copper contacts, so I took a piece of fine grit sand paper and champferred the contact points. The resistance readings where then stable, so I reassembled and it works perfectly. We shall see how long this lasts. When my M705 had the same problem, it was still under the warranty so I called Logitech. After the tech support person took my information (requiring that I repeat almost everything and several times still having to correct what he had recorded – e.g., my Email address, the product serial number, et al. – he began to direct me to various Windows settings to begin troubleshooting. This was despite my telling him that this problem was frequently found described on the Internet. I repeatedly told him that it was clearly a hardware problem. When I asked to speak with his supervisor, he then told me he had a probable fix for the problem (so why didn’t he do this initially?). He had me remove the batteries and then repeatedly click the right and left mouse buttons for 30 seconds. This actually seemed to fix the problem, although if the underlying defect was a failing solder connection then the physical movements may have just temporarily jarred the faulty connection together. He said this maneuver removed a static buildup on the switch. If that is indeed the only necessary fix, then perhaps all one would accomplish in re-soldering or replacing the switch is to remove the static charge buildup in the process of manipulating the switch. I can confirm the resoldering (just heating of the microswitch pins with solder tip, while adding a bit of fresh solder with flux) solves the problem. No need to remove or replace the microswitches. as written above, all these re-soldering and replacing switches is pointless… the switch is just fine in most cases. All you need to do is empty the static energy trapped inside the capacitor. Just unplug the mouse, use another usb port for the receiver, press all the buttons repeatedly for 30 seconds, and that’s it. No need to open the mouse, change switch etc. Hi, thanks for your repair instructions. I re-flowed the solder on the micro-switches and my left mouse button is working normally now. One way to fix the bouncing micro-switch problem is to open the mouse and solder a 0.01uF capacitor across the switch. Wow! This is great. I did a search to see if others were reporting problems with the left mouse button on an M705, found your post, saw your link to the other forum, followed the instructions to clear static electricity there, and all of a sudden, it all works. It seems strange to me that the cause is static electricity, but whatever, it all works now. Thanks a lot man, i searched everywere for a solution for this problem. I am so happy now. you are the best. my middle fired continuously. The two screws below the wheel prevent now that the weight of the wheel triggers the button. Are there any solutions that fix this problem and keep the functionality of the middle button? E.g. placing a piece of foam blow the frame of the wheel? Thanks for the guide – just replaced my right button with an old switch that I probably had for 10 years, and now it works perfectly again. I was just experiencing the same symptoms this evening. I tried the static discharge method to no avail, so I ripped into the mouse. I have no replacement switches, but I figured I would see what I might find anyway. I found the switch actuator had a nice little groove worn into it right over the button. I guess it had worn the plastic enough that the button was being held right on the line between on and off. So I took a tiny piece of leather and superglued it suede side down to the actuator, let the glue harden and ripped off the hair side (I ended up with about 1/10 of a piece of 1/16 inch leather stuck to the actuator). So far the mouse isn’t double clicking any more. Hopefully the leather will wear better… so so speak 🙂 … than the plastic did. If not, I always have more leather. I had this problem with left click on two Logitech mouses B110 (model with USB cable). Switches are “Kailh” and solder was good. 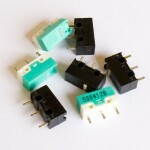 Problem is in bad designed or bad material of these switches, quality is low. One mouse failed after 2,5 years and the other after 3 years. I replaced switches with some spare from Logitech mouse 15 years old and it’s working good. Do you think it’s possible to convert this mouse from wireless to usb (I don’t want to buy a new receiver)? If yes do you know how? Thank you for detailing the teardown of the M&05. It helped me fix my scroll wheel with relative easy. Thank you, you really helped me with pictures hidden screws. Draining the capacitors worked for me! Thanks for putting up this post, it’s a good place to find a solution. This problem was driving me nuts lol. I fixed the M705 left clic switch rebound by cleaning with 90° alcoohol and well drying only. Thank you for your helpfull topic. No no no, the Omron switches which came with the M705 is a Made in China Omron microswitches. It fails on me in 7 months. Now I’ve replaced it with Made in Japan Omron microswitches D2F-F-T, and its now on their 3rd year and still going strong! Same thing happens with my M905, too, except that one uses the smaller not-so-common microswitches. There’s the whole problem, replace the switches with OMRON made in Japan and will no longer have that problem. …. Damn programmed obsolescence! My problem is the lock pin. It has broken off now my mouse works spuratically. Is there a way to secure it so it holds the battteries in place and it works smoothely? I tried wacking mine on the mousepad, and it fixed it. Was not able to click and drag to select text. Try this first. Fonzie smack. I have encountered this problem with my 3 Logitech mice, 2 wireless and one wired, oldest (Logitech) mouse from 1999 has no problems(but its PS/2). I always buy top line Logitech mice because of my work (graphical designer), seems they switched to cheaper parts past 2000. My latest mouse clickers started to fail like 3 months after I bought it back in 2015! Stopped repairing cause I didnt have enough clickers from older cheapo mice 🙂 Btw if you google Logitech is not the only one with problems, Razer mice fail too. Yeeeuw! Thanks guys. The battery pull and 30 seconds of repeatedly clicking the left and right buttons worked like a charm! My left click button now works perfectly again, after just randomly ceasing to work all of a sudden. I used a squeeze bulb to blow the crud away blasted the switch with contact spray. Worked a charm! Thanks for the disassembly tips. My Logitech M305 mouse started to drop selection when left mouse held down. Opened the mouse in pryed open the micro switch cover hatches. Removed the flipping spring and cleaned off visible oxides/dirt from the contact surface. Restored the spring and the cover and now it works again. An excellent opportunity to feel like a clumsy gorilla and testing your motoric skills. A drop of oxide cleaner would probably also have worked soaking the switch interior without opening it. 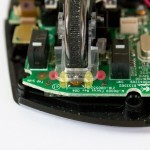 Another problem with this mouse is the grease applied inside the wheel for the index spring clogs the thin slots of the wheel optical sensor and wheel becomes unresponsive and has to be turned a lot when scrolling. The wheel can be removed out of the support case with some attention to the retaining the tiny spring and the tiny stainless ball. wow, this is a popular post for you. I just bought this mouse and I am having troubles with it working when you do the wheel click. Also I was thinking about you having this comment box towards the top as it was a lot of scrolling. Also great blog! Hi Kai, I just repaired my 705 and wanted to share my method. What happens is the microswitch suffers changes in tension after usage. Logitech formed their button foot to mesh flush with the body of the switch. Comes a point where the button foot meets either the switch body or the button itself bottoms out against the body of the mouse. I fixed this by removing the mouse body as you outlined in step one, but then I removed the button plate from the mouse body (two screws near the back). There is a ridge molded into the button plate. I sanded that ridge down so the button could compress further. I also slightly rounded the button foot so it might compress somewhat beyond the switch body. My mouse button functions fine now. It just wasn’t pushing the switch down far enough, thus the blinking. I hope this helps someone. Remelting the solders joints for the switch fixed my issue. Thanks for the article!! Just performed another surgery per your excellent help. Vielen Dank! I repaired two different microswitches of Logitech mice by opening the microswitch itself, bending the tiny ‘flat spring’ piece a bit and putting everything back together. Those parts are very small but if you’re a bit dexterous and patient, it can be done. Great post! Thank you. I repaired my M705 by re-soldering the contacts on the micro switches. Good as new. I wonder how many repairs your post enabled in over 6 years. Certainly more than the just those who posted here. Kudos!